It’s not accurate to say that staff members start the day before sunrise at Camp Denali & North Face Lodge, as the sun doesn’t set for a large portion of the summer. Regardless, there are very few hours of the day when you won’t find someone hard at work, making sure each day provides the highest level of service and hospitality to our guests. By 4 a.m. the lights flick on in the kitchen at Camp Denali announcing the arrival of the day’s baker. Shortly after they are joined by the breakfast cook who will spend the next three hours preparing a nourishing and fresh meal from that day’s menu, be it Alaskan crab quiche or sourdough pancakes with a compote made from blueberries gathered from the surrounding tundra. The host at each lodge has a fire lit before the first coffee-seekers arrive, creating a warm and comfortable atmosphere. By the time staff sit down to their breakfast at 8:30 a.m. several hours of the workday have been completed across most departments: buses are washed and detailed, the dining room has been set and served, and the dish washer has been running for hours. Many positions take mid-afternoon breaks after the morning’s tasks are done, but by 5:00 activity resumes. Hosts greet guests returning from the day’s outings, vehicles are washed for the second time that day, the dining rooms are once again set and final touches are put on the food, which awaits only the greenhouse garnish to complete the picture. It takes a “well-oiled machine” to wash the last dish just minutes after the dining room clears, allowing both staff and guests alike to attend the evening program given by one of our own naturalist guides or a visiting expert. The last tasks of the day include closing the greenhouse, organizing guest seating for the next morning’s meal, mopping the floors and turning out the lights. Staff members who need a good night’s sleep retreat to quiet spaces, and there are the night owls who will be found playing board games, reading, knitting or just enjoying each other’s company. There are the days when working and living in the same place as the same fifty people day in and day out can get wearing, but those days are few and far between. 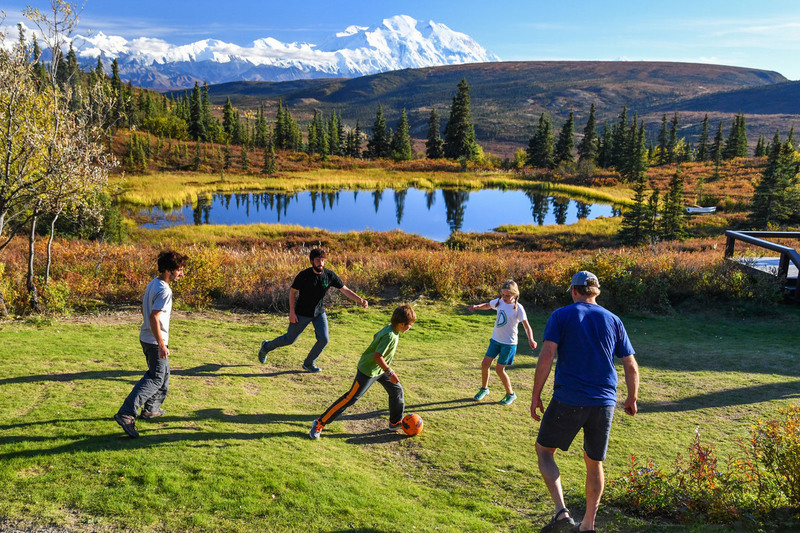 Our staff is a community who come to Denali to find a sense of place. We work hard and enjoy each other’s company, appreciating the special place where we spend our summers. It may not be for everyone, but for many of us it is home.